This is a GPT site, which has offers and surveys. There are daily surveys, quiz offers, PTC offers, videos, downloads, sign ups, etc... 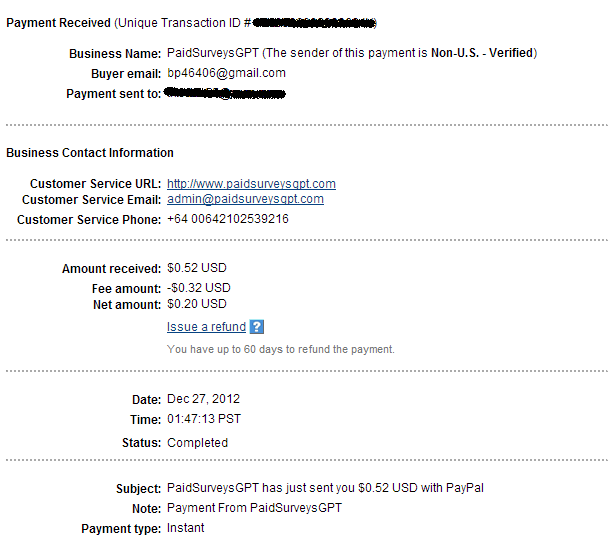 The minimum payout is only $0.50 for Paypal/Payza/Liberty Reserve and this is relatively easy to reach. I did one SSI Survey, a few PTC offers, and I already reached the minimum to cash out. Members can earn either points or cash for offers. Cash may be converted to points and points may be converted to cash. Points may be used to redeem gift cards. There are Amazon gift cards, Ultimate Game Cards, PSN cards, ITunes cards, 3 month Xbox Live codes, and Facebook Credits. If you just want to make some cash, you can complete a daily survey and you will have enough to cash out. The payment processors are Paypal, Payza, and Liberty Reserve.